Copyright 2011 Kevin P. Mick Photography. All rights reserved. Certainly by this definition, in the gutter is where to not be. It is March and it seems that here in Maryland we may have turned the corner from Winter into Spring. Of course, this being Maryland, winter may not be quite finished. However, the sun has been out and the temperature is at least warmer…both ideal conditions for a walkabout in a local neighborhood. 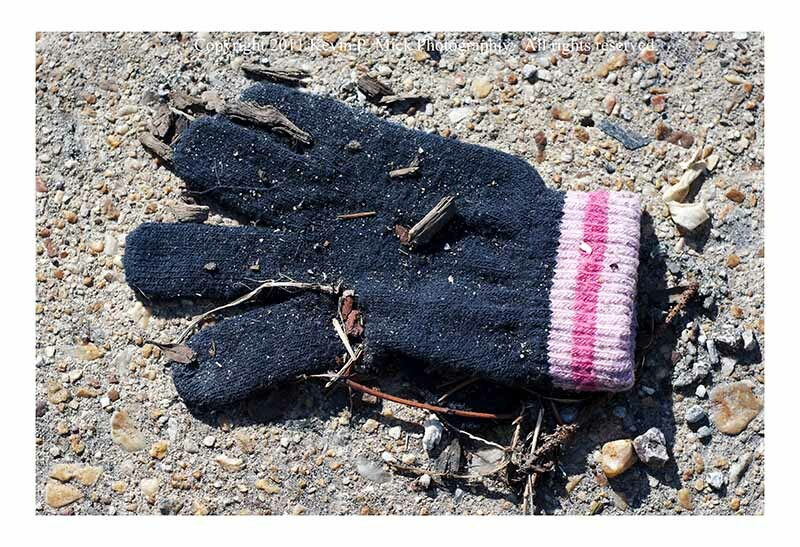 I found myself drawn to the gutters lining the streets and the various artifacts that had perhaps been lost in the snow or dropped without notice. 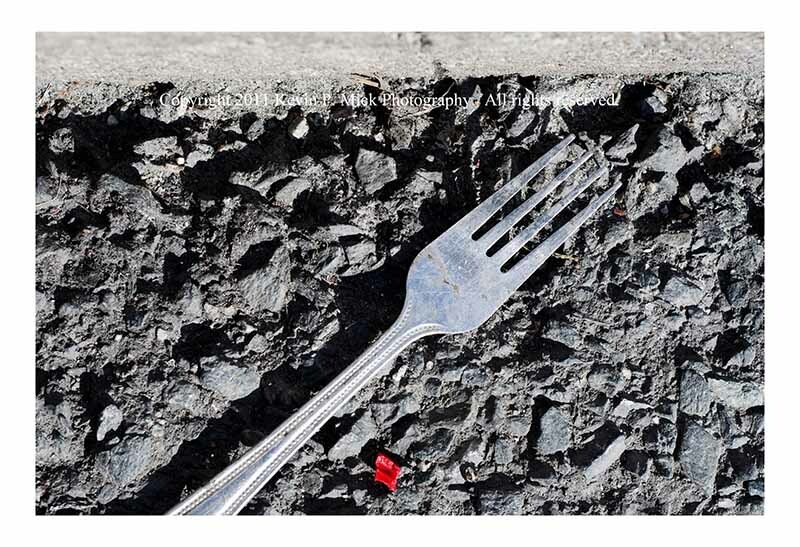 Geographically, these objects are in a “low state” as they are lying in the road and one must look down to see them. 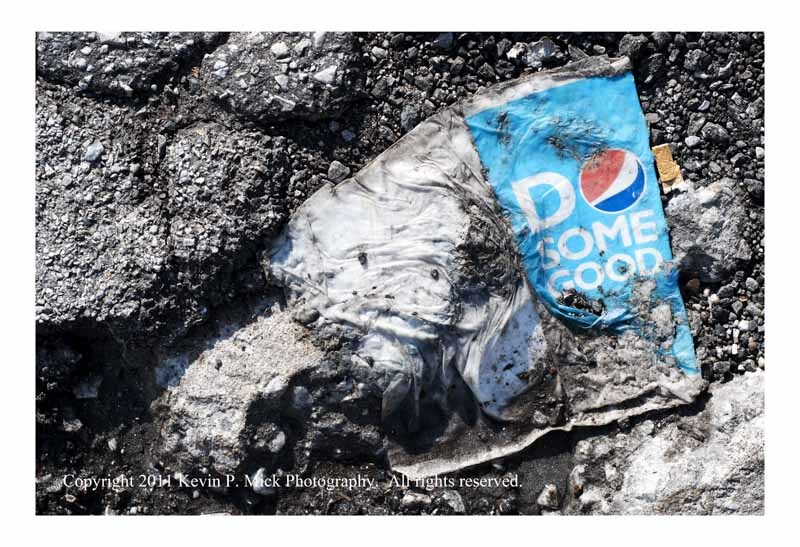 Perhaps one of the reasons these objects remain until they are washed away or decay is that we have become so desensitized to trash that it does not even register in our conscious. Or, maybe, we are so distracted by our technology, to getting where we are going, or doing what we are doing, that we are not aware when we have dropped something or see it when left by someone else. Literally, out-of-sight becomes out-of-mind. Material objects are one thing-people are something else. 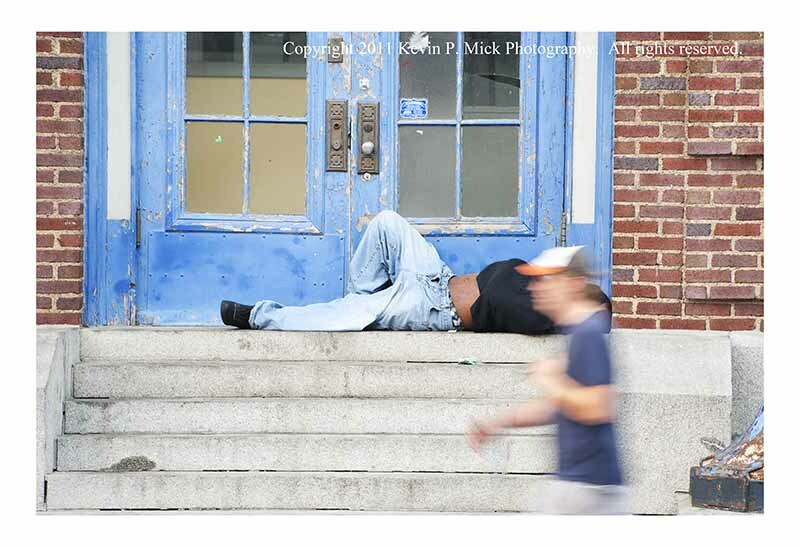 The Baltimore Homeless Census 2009 indicates a 12% increase in the number of individuals experiencing homelessness over those in 2007. The abandoned properties in post-Katrina New Orleans provide some shelter for the estimated 3000 people experiencing homelessness there. It is often ironic from where messages come.